Watermelon is a tasty and delightful hybrid dominated by its fruity presence. The strain is notably calming with a rush of euphoria that keeps one cerebrally alert. If anything, the Indica-dominant strain induces a chill smoking experience that is fun to pass around with like-minded company. The herb is an oasis to many patients suffering from various afflictions. It gives the mind and body a break with its tropical smoke and tranquilizing high. It is also these qualities that provide recreational enthusiasts with stress-crushing and mood-enhancing psychedelic effects. At the moment, the original breeders have not disclosed the origins of Watermelon due to breeder secrecy. Still, its mysteriousness adds interest and publicity to the delicious fruit-flavored strain. When it comes to scent, Watermelon is not one to disappoint. The sweetness lifted from the buds are reminiscent of watermelon, while softer notes of citrus and pine give it a fuller depth of flavor. It also has a pungently sour aftertaste that seems to almost fizzle the nose. The word ‘watermelon’ conjures a myriad of memories that relate to drinking a refreshing smoothie or taking a bite out of the juicy fruit itself. Regardless, Watermelon has the same effect in that its surprisingly fast onset cools a burned-out mind. Soon, it follows with a sharpening of the senses. As colors take on a more vibrant depth, past-times like binging on visually stimulating shows take on a more exciting tone. For casual users still baffled by a problem at work, the brief burst of energy allows the brain to tap into one’s inner creativity and dabble on easy-going activities or engage in an easy-going brainstorming session with some close friends. Gradually, the subtle rush of energy wanes and users are left feeling heavier as a soothing sensation trickles down from the temples. It leaves beginners and seasoned users relishing the deep relaxation it brings. Though the mind remains relatively light, the physical heaviness makes it almost impossible to hold on to productive whims. Watermelon has all the components needed for a good night’s sleep – a juicy essence that leaves the mouth with a rather minty aftertaste and a creeping sedation that unwinds the body in lieu of a glass of wine. Despite its list of positive effects, users should still be mindful of the downsides that come with over-consuming Watermelon. Being a psychoactive stimulant, it causes anxiety or paranoia while some complain of a mild dizziness that lasts for hours. Starting with a light dosage ensures an experience that is fully enjoyable. A cotton mouth, paired with reddish irritated eyes, may briefly sting too, as cannabinoids inhibit the body’s moisture production. Make sure to have a bottle of water nearby and maintain hydration throughout the session or the rest of the day to keep the physical discomfort at bay. A great strain to take the edge off the day, medical cannabis users are fond of its holistic effects. Its cannabinoids – particularly its THC and CBD compounds – prepare the body and mind for a restful night of sleep through a soothing head-to-toe high. During the onset, it noticeably elevates moods as waves of euphoria keep individuals from drowning in negative thoughts. Its uplifting core manages manifestations of stress such as an overwhelmed brain and dreadful anxiety. In a similar manner, it also manages symptoms of mental health issues like depression and PTSD. The improvement in focus, albeit subtle, aids scatter-brains to hone in on single tasks thus achieving relaxed productivity in no time. 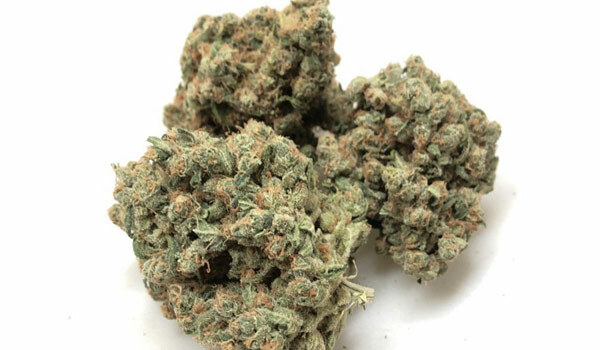 However, as an Indica-dominant strain, its effects shine through its analgesic properties. Sensibly soothing, tensions from the muscles are reduced. As such, patients struggling with muscle spasms, arthritis, and migraines find momentary reprieve from this strain. Ironically, as much as its propensity for causing headaches are, it also has the ability to relieve it. The uplifting buzz later makes way for the sedating drowsiness that comes effortlessly as users are, by this point of the high, deeply relaxed mentally and physically. Sleep comes with no difficulty even for patients with insomnia. Not only that, disturbances from tossing and turning are appeased as the strain improves the overall quality and quantity of sleep. If not for its elusiveness, Watermelon would have been a relatively easy plant to grow. Seeds of it, however, are not available online for commercial use. Growers interested in working on a collection of this fruity variant will need to obtain clippings from a mature and healthy plant which in itself are already a hard feat. In cases where one can make use of a clone, cultivation comes easier for the seasoned, green thumbs. Physically, the plant adopts a short stature with nugs that bear green and purple hues as it matures, topped with a glittering crown of resin. Indoor set-ups may come as a breeze as a short to medium height and thin foliage make the process of pruning a quick and easy chore. This is an essential step as controlling the humidity level plays in maintaining a plant free from the risk of mold and mildews. In fattening up the yield, employing hydroponics improves its growth and ensures a high-quality turnout. If the focus is on enhancing the flavor profile, which Watermelon is distinguished for, one should sow it using organic soil. It also works exceptionally well with a Sea of Green set-up under a 12/12 lighting using a 600 to 1000 watts HPS. 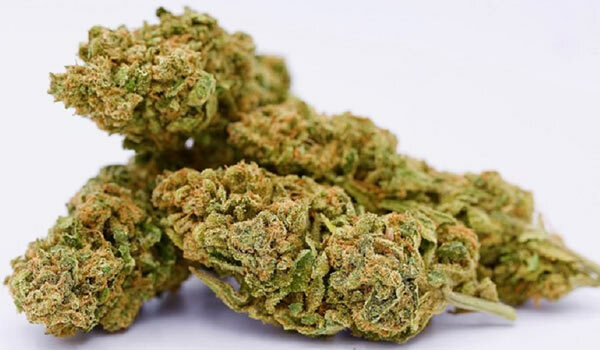 Regardless of the set-up, however, the Indica-dominant strain is expected to yield an average of 280 to 340 grams of sticky buds per square meter in just 8 to 10 weeks of flowering. The plant loves to bask under the soft heat of the sun and embrace the great outdoors. However, it remains a quick-flowering, vigorous yielder in the northern hemisphere as strong branches keep it sturdy against winds and a natural resistance to the cold ensure its health. One must note, though, to keep it away from harsh weather as it will jeopardize the plant’s health as well as the quality of its buds. Between the second to the last week of October, growers can expect at least 340 grams of buds per plant. Have you grown or used Watermelon strain? If not, would you like to get your hands on this strain? Please leave a comment to let us know what you think. We want to hear from you.